George Allen Mansfield both designed and lived for a time at Toxteth Lodge (c1870s), a quaint and charming Gothic house with a steeply-rising roof. It stands at the corner of Arcadia Street near the entrance to Toxteth Park (1831)(St Scholastica’s Convent) the latter was built for George Allen, a prominent solicitor. Mansfield married Allen’s third daughter Mary Emma, and they lived in a sandstone cottage on the Toxteth Estate (before its subdivision), which is now known as Tranby (corner Boyce and Mansfield Streets). 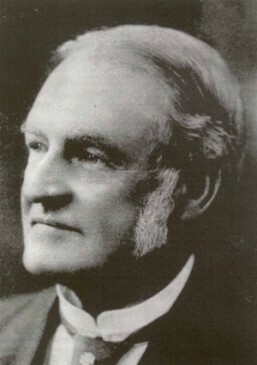 Australian born, Mansfield was the founder and first President of the Institute of Architecture NSW 1871-1876. Ten of his buildings are listed on the State Heritage Register. Mansfield designed many inner city schools as a consequence of his position as architect to the Council of Education and also designed 53 buildings (in NSW and Queensland) for the Commercial Banking Company of Sydney. On the Early Glebe Architects walk, Mansfield’s Emslee is featured. © 2012-2019 The Glebe Society Inc. All Rights Reserved. Site design by Red Ant Media. Powered by Wordpress.